So I have this friend & her name is Sarah. This one of us, not so much. that pretty much sums up our friendship! Anyway, she’s an amazing ARTIST! She graduated with an Art Education Degree. 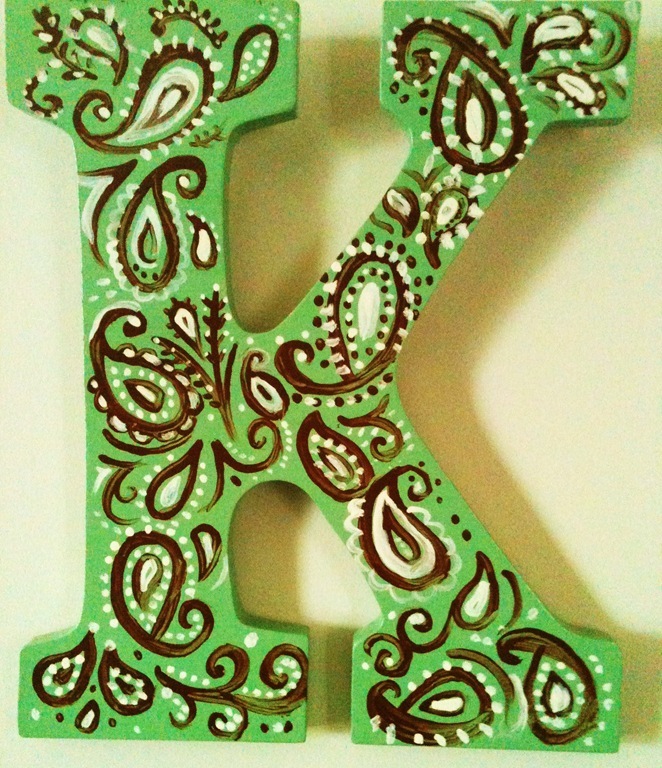 She painted this ‘K’ for me that hangs on my door! 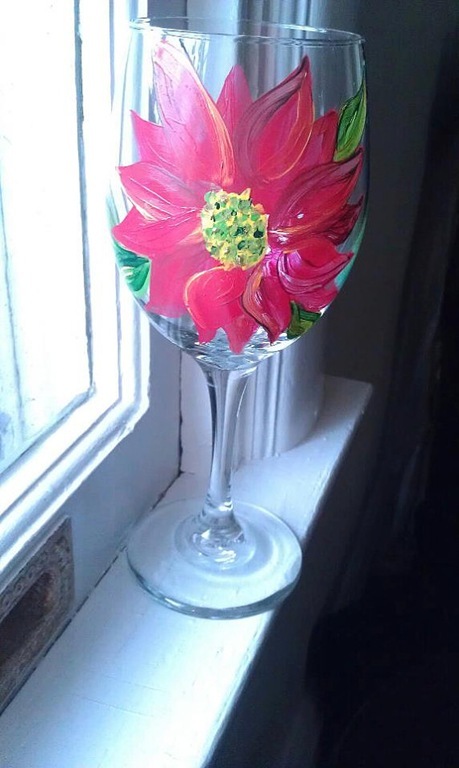 GIVEAWAY one of her hand-painted wine glasses! 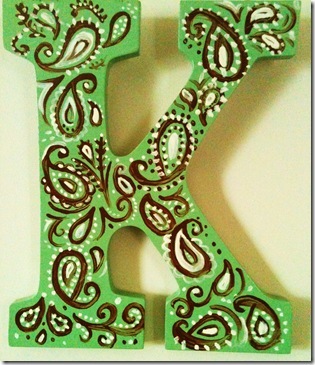 this girl can paint ANYTHING! Feel free to contact her through her ETSY page for suggestions! So here’s HOW TO ENTER! 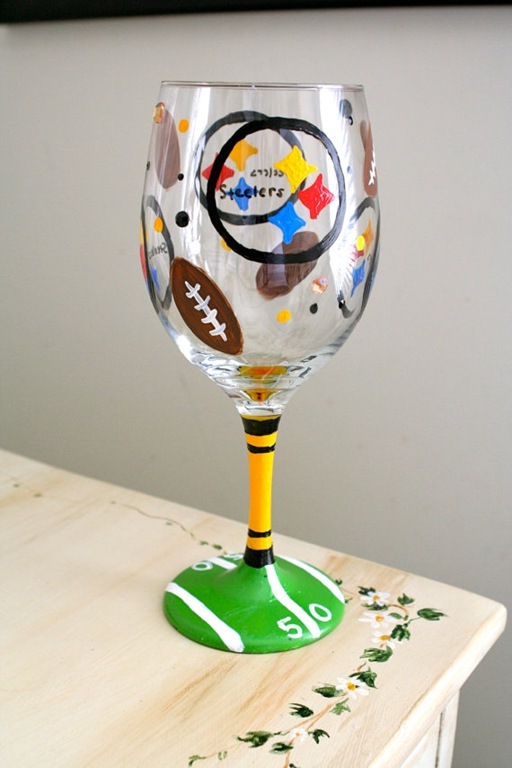 what wine glass you’d be interested in winning! 3) Follow @POWERCAKES on Twitter! Also, this is only open to US Resident’s! um WOW SHE IS so freaking talented! that poinsettia class is gorgeous!!!! i would LOVE to win that! i tweeted!!! can you tell i want to win?! 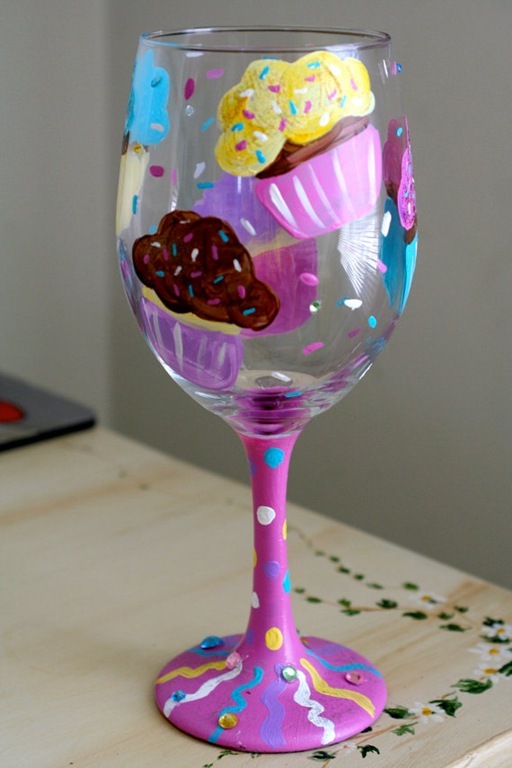 I love the cupcake wine glass! The zebra comes in second.. 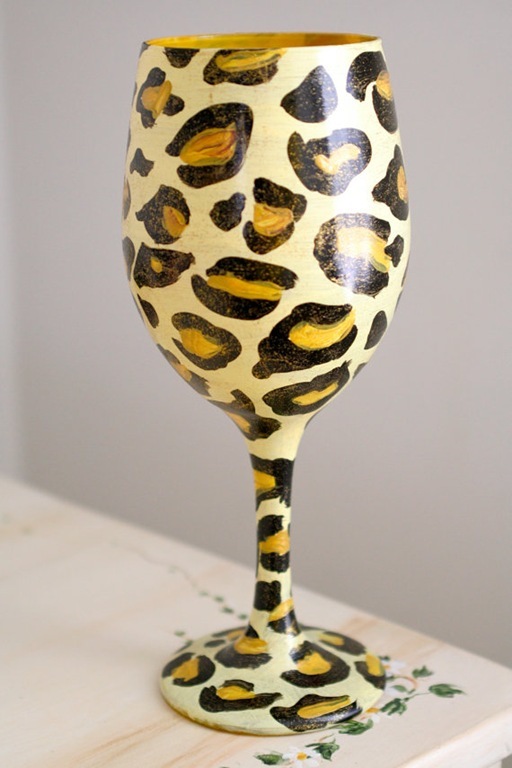 I wish the cheetah one was still in her etsy shop too! 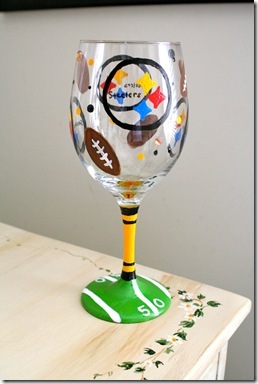 Girl u know me I am all over that Steeler glass! 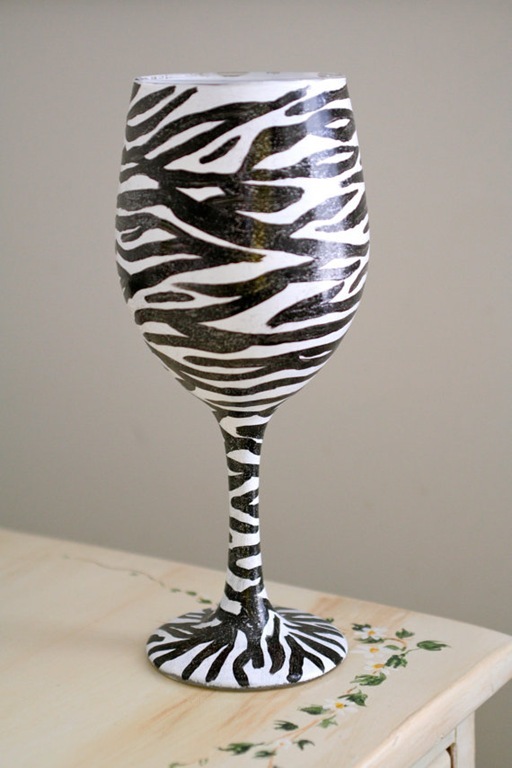 Zebra Print Wine Glass…it’s a beauty!! I liked Designs By Sarah on Facebook! 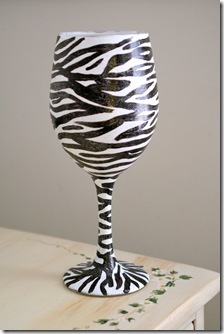 -Zebra Wine Glass is what I hope for! I tweeted the contest! @JessicaTonesUp ! I already subscribe to the Facebook page as well! The zebra!! And I follow you via email…I’d follow other ways but I don’t have FB or twitter! 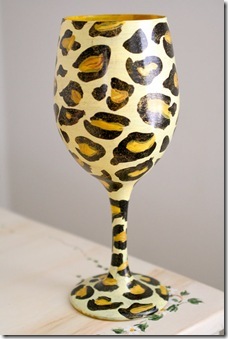 She is talented-I like the cheetah wine glass! All of them are beautiful, I specially like the leopard one you have here. But it is not on her Esty page, so I would say my favorite is the ZEBRA one. Fab! I’d love to have either the cupcake or the bride one! My sister is getting married next summer!!! Liked power cakes on FB! Thank you all for the wonderful comments and support! If you have any other ideas for glasses, please let me know! 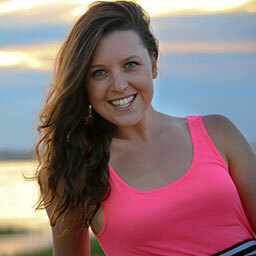 I am willing to work with you with ideas and would love to add new designs to my portfolio! Sarah you seriously have some amazing talent though girl, great work! If you are able to do a pink and black damask design on one, I would totally buy it! I will work on that one and put it up for sale on etsy! Subscribe to my facebook page for upates! Thanks girl!! Thanks girl! I will totally make that! Keep posted on my facebook page for when I put it in my shop! Have also been subsribed to POWERCAKES via email for a few weeks, and LOVE all of the info i have been recieving! I dont have a twitter account so I’m not able to TWEET Also, having a hard time finding Designs By Sarah on facebook from my Iphone app at least…. 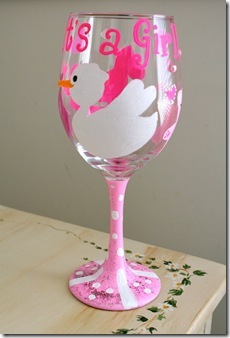 Thank you for the link, just liked your page I will keep an eye out for that glass! 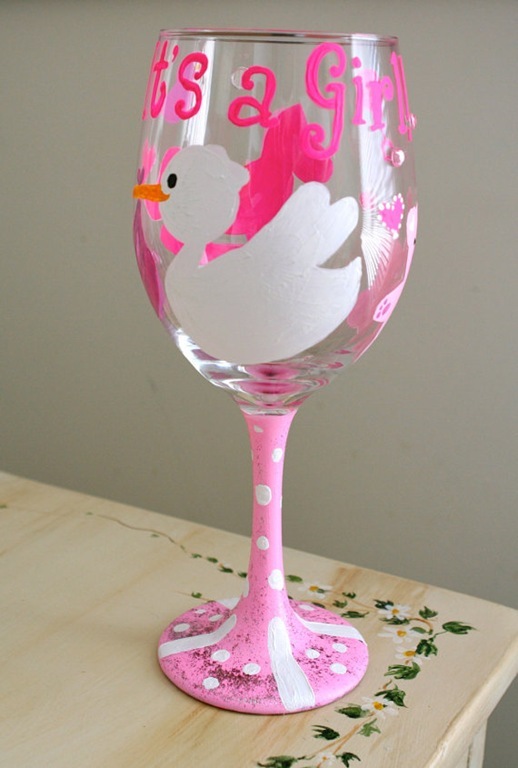 Hey I would really love any kind of pink flower painted on a wine glass! I am already following you via Twitter. I tweeted the giveaway! Excited! I liked Sarah’s Facebook page! I liked the power cakes Facebook page :D! I love the Poinsettia Wine Glass! It’s gorgeous! Liked Designs by Sarah on Facebook. I would LOVE the cupcake wineglass!!! I “Liked” Designs By Sarah on Facebook. I followed @POWERCAKES on Twitter! 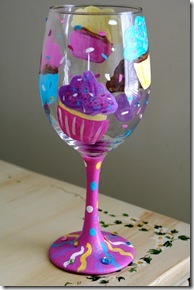 I LOVE the cupcake wine glass! super cute! I already follow you on Twitter and I just subscribed to your page! wooo! just tweeted about this gorgeous giveaway! Your friend is amazing!! 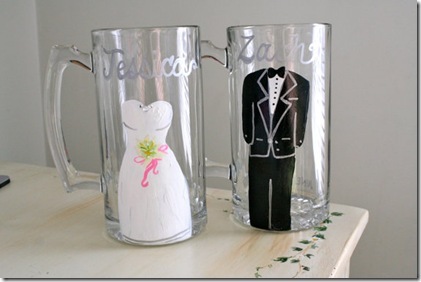 My favorite is definitely the Bride and Groom glasses!! 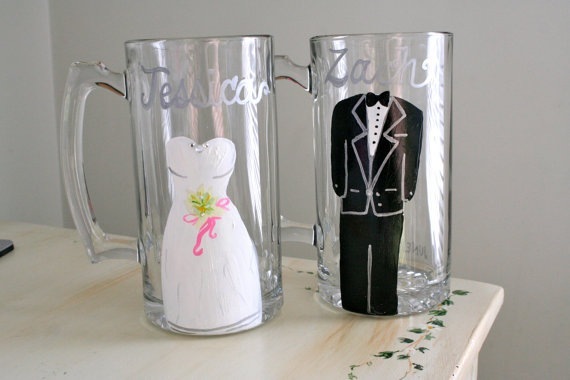 I’m getting married in less than a month and LOVE those glasses!! and I “like” your page on Facebook! The Zebra one! How fun! I follow POWERCAKES on Twitter. I like POWERCAKES on Facebook. I’d love to win the Cupcake wine glass! By the way, she is AWESOME! Love her work! I liked Designs By Sarah on Facebook! I liked PowerCakes on Facebook! I follow PowerCakes on Twitter! And I saw she did the steelers one – anyway she would do a Packers one? Otherwise I love the cupcake one so dang cute!! 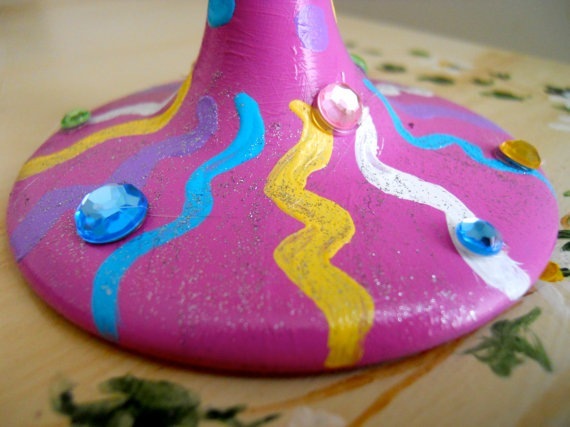 I love her ETSY Zebra class… gorgeous. however this post is in fact a pleasant article,keep it up.